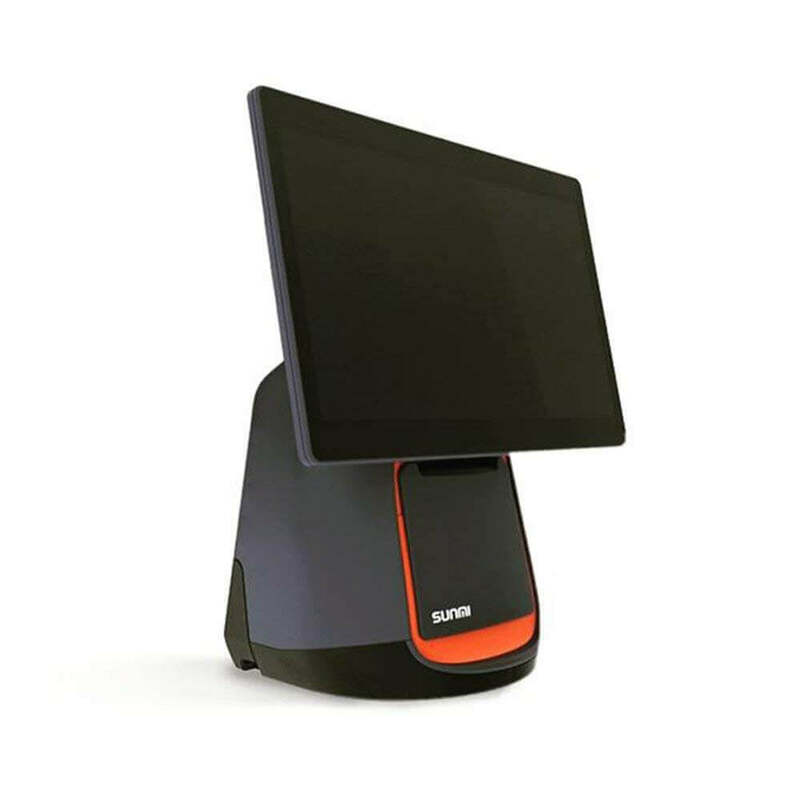 Cost-effective Android POS system for mobile, tablet, and integrated terminals. Android POS frees up space on the sales counter. Use the space to display relevant and reasonably priced items to boost up last minute sales. 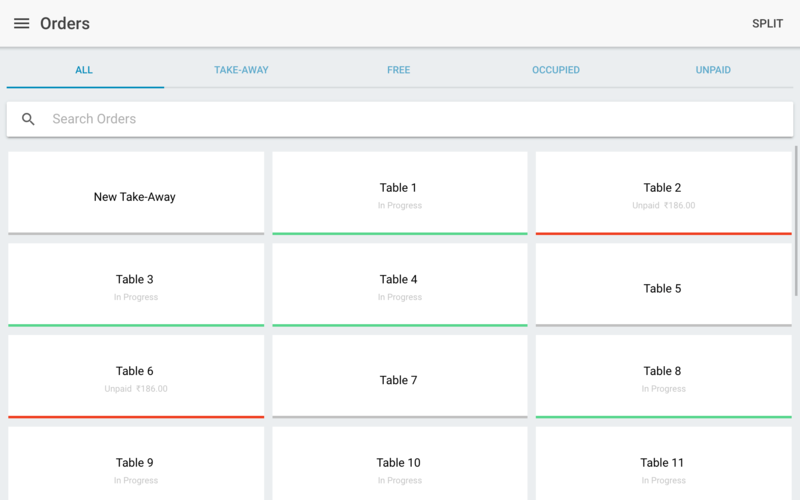 Android POS requires less manual work as orders, table management, sales can be done just by a touch. 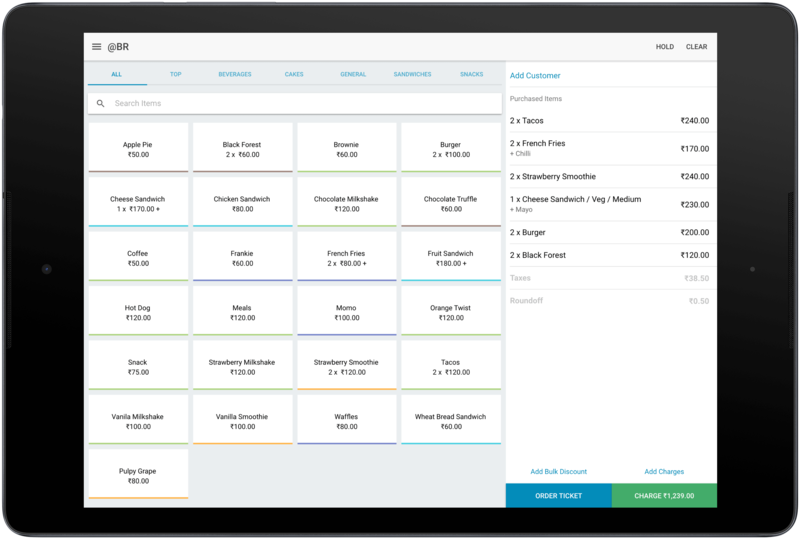 Using an Android POS lets you use a portable and compact billing system that can be used at food trucks or when you do events and food fairs. Choose a printer integrated all-in-one Android terminal or handheld from Sunmi. Setup an industry grade, stylish Point of Sale that goes well with your restaurant interior. 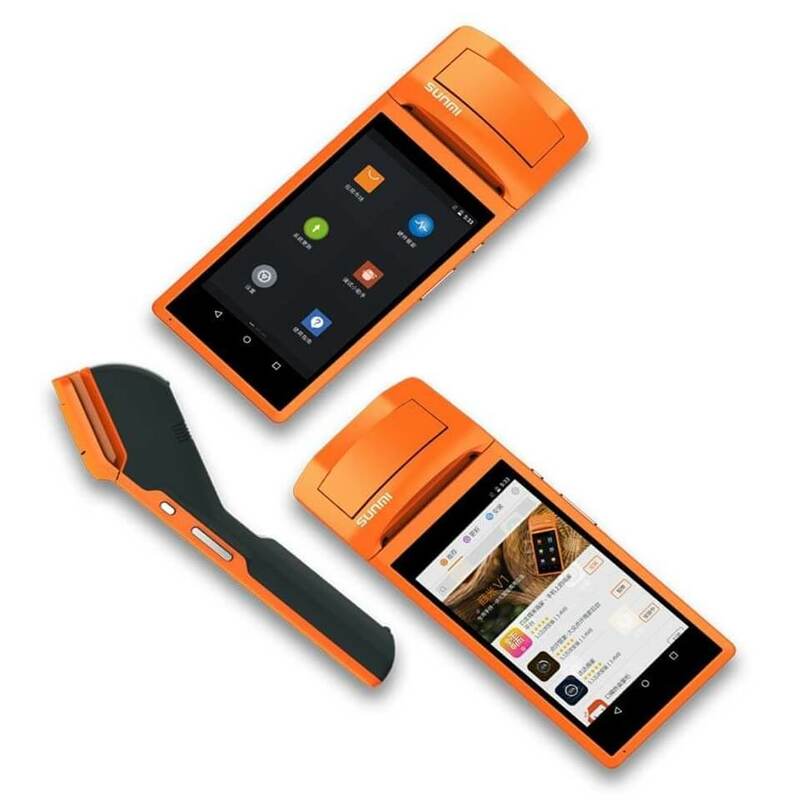 SlickPOS Android supports standard bluetooth and network printers. You can also split your KOTs across printers kept in separate kitchens. Get your Android POS app now. #2. Get the SlickPOS app from Play store. Our cafe does high volumes and we needed a POS that allowed us to punch orders rapidly. We use SlickPOS on Android and are loving it. Amarnath, The South Indian Coffee House. 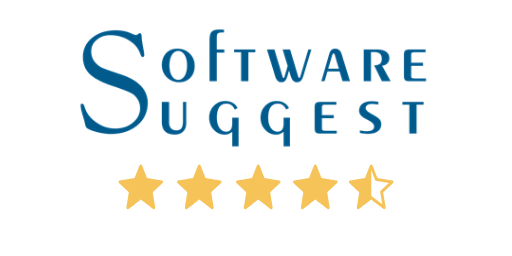 We have been using SlickPOS on Android mobile for a year now, we love the simplicity and it was quite easy to switch devices when we had an issue with the phone. We are a food-bike franchise across India, and we needed a mobile POS to track sales. SlickPOS helps us to easily bill with either a mobile phone or a handheld POS terminal. 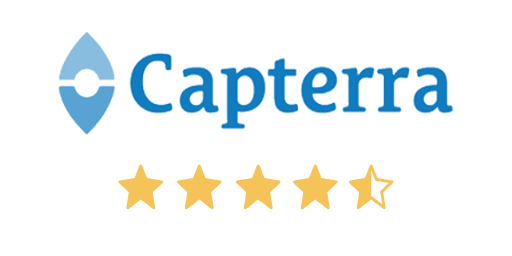 Top rated Android POS App in Capterra, Software Suggest and Android Play Store.